Always up to date and available non stop. Halley Cables provides a wide range of services for all its products - below we have provided information you can download. 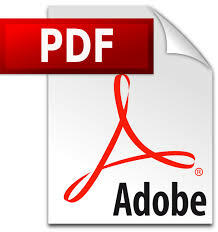 Our files are available in Acrobat PDF format. If you do not have Acrobat Reader, please download the plug-in here. 1. Cash in advance or Telegraphic transfer (﻿T/T). 2. Letter of Credit (L/C) also known as Documentary Credits (D/C). 3. Bank Guarantee (BG) or Standby Letter of Credit (SBLC). 4. Documents against Payment (D/P). 5. Open Account or Documents against Acceptance (D/A). 2. DAP (Delivery at Place). 3. DDP (Delivery Duty Paid). 4. FOT (Free on Track). 5. FAS (Free Along Ship). 6. FOB (Free on Board). 7. CIP (Carriage and Insurance Paid). 9. DAT (Delivered at Terminal). 10. CFR (Cost and Freight). 11. CIF (Cost, Insurance and Freight).